I was delighted to lead the assembly for International Women's Day at Ricards Lodge School to approximately 500 girls this week. Invited and introduced by the Assistant Head Teacher Mrs Sawyerr who leads the campaigns in the assemblies, I began by asking the girls if they were ready to fly and if they believe they can fly. The key point was to deliver messages of self-worth and determination. I spoke about the importance of self-esteem for all of life's endeavours. 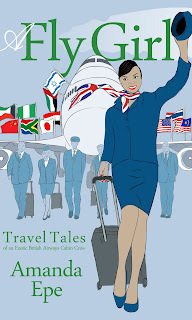 This was followed by a reading from my inspirational travel book "A Fly Girl" and why I wrote it. 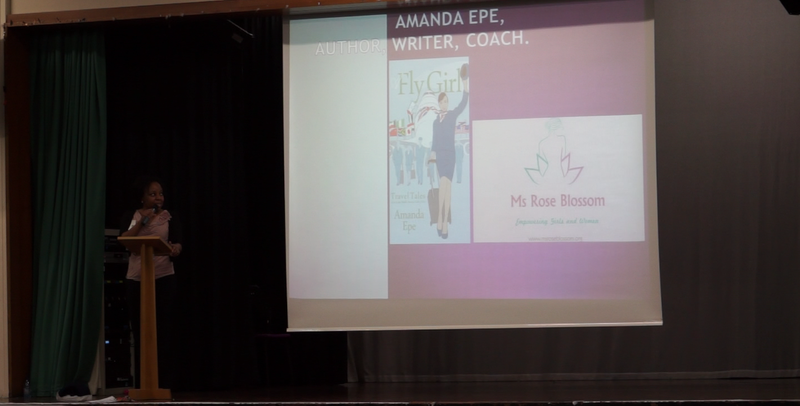 Pupils were encouraged on the importance and benefits of writing giving examples of inspirational girls who were in the same age group and had become successful novelists and authors. Each excerpt read was followed by a short discussion on the various topics and themes included in the book which related to gender equality. There were many giggles in the hall but there was also serene moments as pupils listened to their own voice when asked what they can do collectively to empower other girls as well as becoming activists for disadvantaged groups with no voice. Information surrounding FGM female genital mutilation was delivered to remind the girls that the issue is present in the U.K and they are the future who can make change happen. The young ladies are evidently tomorrow's leaders, as I left the school I was met with many questions and notable to see that these pupils are determined for transformation and further wish to discuss how to "make it happen." Greetings! Thank you for inviting me right here. I discovered such a lot of thrilling ideas here. Your writing style could be very clean and i genuinely enjoy to reading your posts. You have published article with perfectly! I definitely think this website needs a good deal extra attention. Education contain different task like essay, assignment, essay writing services and many of the students cannot complete their task successfully within the time. Decent, informative and well written article, keep it up good work. It is also helpful a lot and can download EED 475 GCU Entire Course Content Area Literacy and Common Core loving your Post . Bundle of Thanks!